Keeping houseplants is an easy, very effective way to make your home a more pleasant place. Houseplants purify the air, absorb harmful particles, and just make you feel better by being around. The same thing goes for keeping houseplants in children’s bedrooms, though the rules are a little bit stricter. Keep reading to learn more about the best varieties of child’s bedroom plants. When selecting houseplants for kids’ rooms, it’s important to keep a few things in mind. Most importantly, remember that your child is going to be spending time alone and unsupervised with these plant, which means toxic plants are completely out. 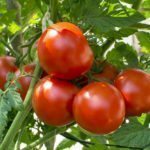 Ideally, your child won’t be eating his or her plants, but to err on the safe side, you want to be sure it isn’t a problem. Some other plants, like cacti, can be dangerous too. Older children should be able to enjoy cacti (and benefit from their low water requirements), but with young children the danger of those spines might be a lot more trouble than they’re worth. Good children’s bedroom plants are ones that have low light and water requirements. You want a plant that can handle some neglect. It’s also a good idea to opt for plants that have an interesting texture and can tolerate being handled. The more senses your child can engage with his/her plant, the more interesting it will seem. 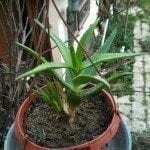 Snake plant – Low light and water requirements with long, interesting leaves that come in a range of patterns. Spider plant – Low light and water requirements. These plants put out small hanging plantlets that are fun to look at and easily transplanted for an interesting project. African violet – Very low maintenance, these plants bloom reliably and have soft, fuzzy leaves that are fun to touch. 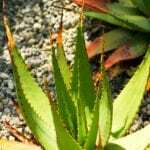 Aloe vera – Low water needs. These plants are interesting to touch and can be soothing to irritated skin. Put them in a bright window. Sensitive plant – An interactive plant that kids will love touching. Venus fly trap – Carnivorous plants are cool no matter how old you are. A little harder to care for, these are better for older children.